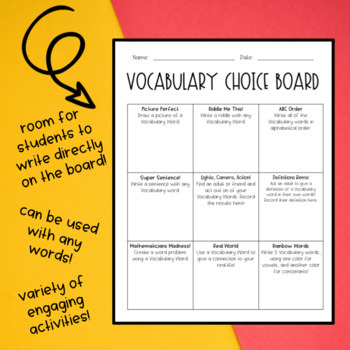 Use this Vocabulary Choice Board with your students as an engaging way to practice any set of words! 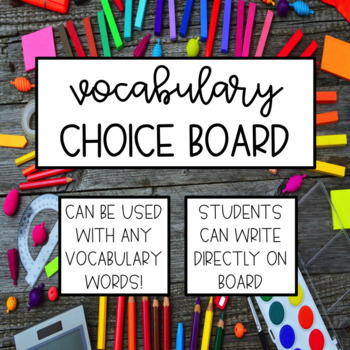 You may choose to utilize this product with weekly vocabulary words, words from your novel study, a Flocabulary Unit, spelling words, or Science/Social Studies words! has engaging activities that students will enjoy!